The trial of the decade is just getting underway today down in the Sunshine State. Prosecutors and defense attorneys are set to give their opening statements Monday in the second-degree murder trial of George Zimmerman, --who admitted to shooting 17-year-old Trayvon Martin in 2012 -- after nearly two weeks were spent picking a jury. The prosecution is expected to take up to several hours to make their statement, while Zimmerman's defense team will only speak for an hour or two. Circuit Judge Debra Nelson ruled last week prosecutors will be able to use the word "profiled" in their opening statements, as long as their description isn't limited to racial profiling. Prosecutors will be able to describe Zimmerman as a "wannabe cop" and "vigilante" and will be able to say Zimmerman confronted Martin. Two police dispatch phone calls will be important evidence for both sides' cases. The first is a call Zimmerman made to a non-emergency police dispatcher as he followed Martin walking through his gated community. At one point, the dispatcher tells Zimmerman he doesn't need to be following Martin. The second 911 call captures screams from the confrontation between Zimmerman and Martin. Martin's parents said the screams are from their son while Zimmerman's father contends they belong to his son. Nelson ruled last weekend that audio experts for the prosecution won't be able to testify that the screams belong to Martin, saying the methods the experts used were unreliable. For amateur legal analysts like me, this case will be intriguing. The judge's decision to not allow audio experts to discuss the aforementioned 911 call was a pretty serious blow to the prosecution. If they'd proven the voice on the tape was Martin pleading for his life, it's unlikely Zimmerman would have had any chance to walk free. 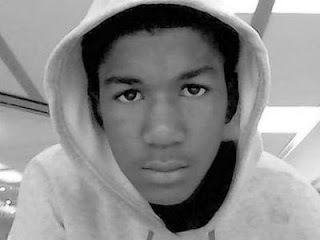 Now the burden is on the state to prove that Zimmerman intentionally stalked Martin by showing a history of bias against black teens. I just don't think they'll be able to prove that. I've asserted all along that the best the state could do in this case is find Zimmerman guilty of involuntary manslaughter. Now, I think it's within the realm of possibility that he walks altogether. We'll see. If you wanna follow the proceedings online while at your Day Job, check out Mediaite's live feed. Question: What do you think is going to happen in this case? Leave your comments here.